There are many reasons we see things in photographs. This page is some of my photographic captures from over the years. Are they ghosts or something else? You be the judge. RMS Queen Mary, February 2011. 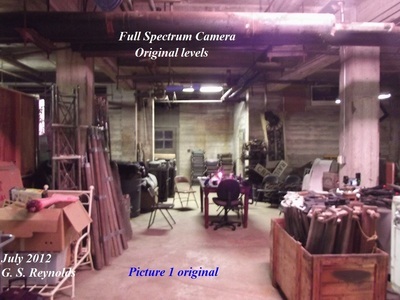 This was during an EVP session in which we were attempting to make contact with the RMS Titanic. What is highlighted here in Sepia is what may be a possible apparition emerging from the wall to the left. Pic 1, the little girl spirit emerges from the Changing Room of the 1st and 3rd Class pool and looks off to the left. Pic 2. The child spirit is now aware of me and my camera and is looking directly at me. No, I did not see here when this was taken. I was taking random photos and did not see her until I reviewed the photos later. Pic 3. She is still looking at me but is beginning to dissipate and fade away. The above three shots are from a video recorded in the dressing room area of the Warner Grand Theater in San Pedro, CA. This was in May 2009. The dressing room area was empty. 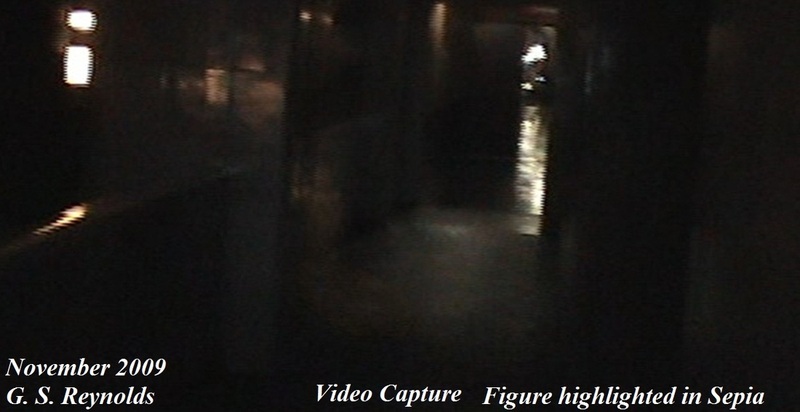 My video camera sat at one end of the hallway and recorded anything coming from the other end of the hall. This image of what appears to be a young woman in formal evening attire was discovered while going frame by frame in review of the video. 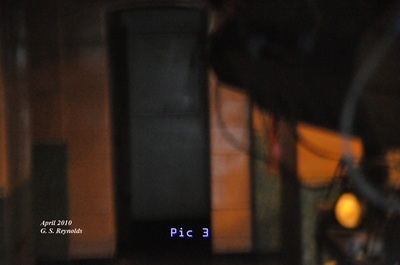 Here is an enlarged picture of the lady in the hallway. Hard to say who she was but by her clothing and hair style I'd say she lived sometime during the 1960s or 1970s. 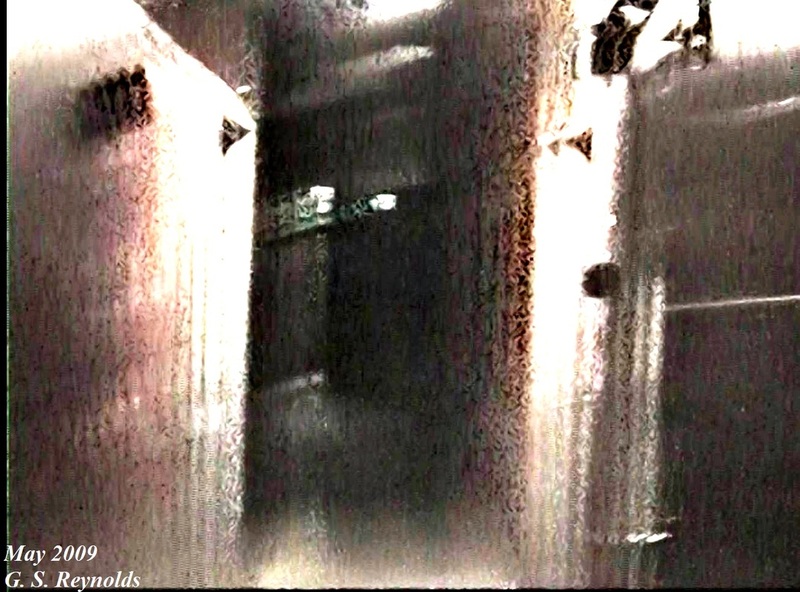 This image was captured in the upper level of the 1st and 3rd Class Pool aboard the RMS Queen Mary in November 2009. I refer to this picture as "The Woman" and this was actually "Picture of The Day" at the website of Coast to Coast AM Radio. 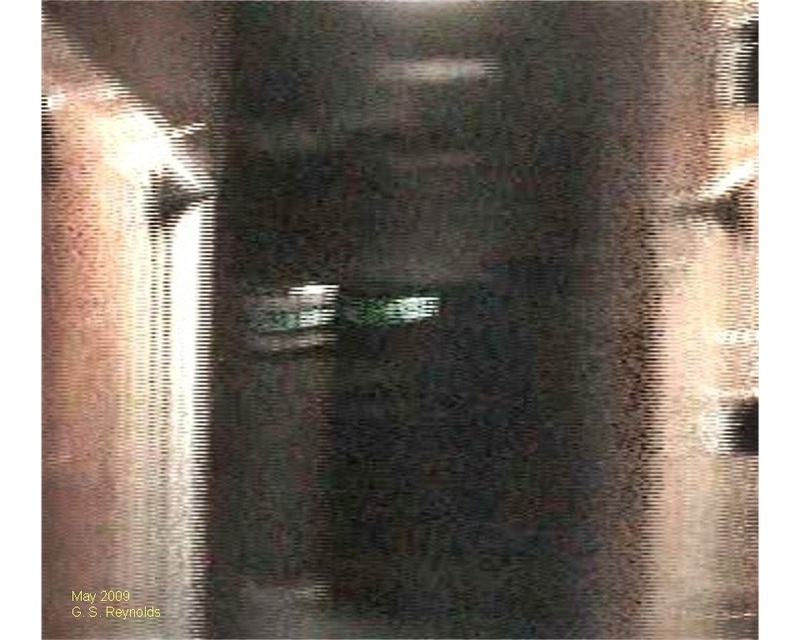 This, like the picture of the woman at the Warner Grand is a video capture. 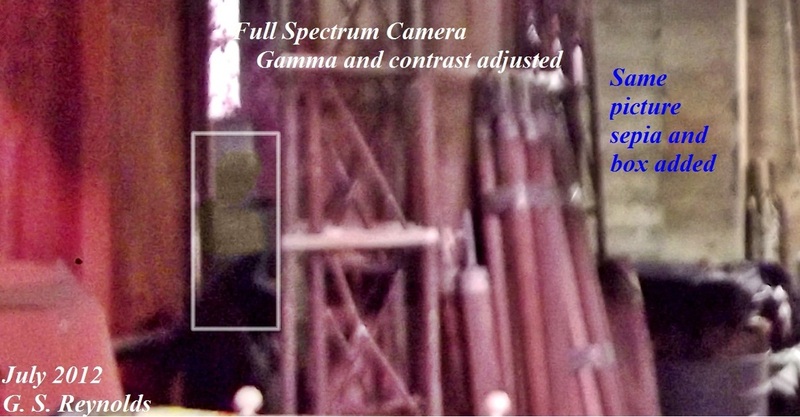 Here I have highlighted the image in sepia tone, so it stands out better. 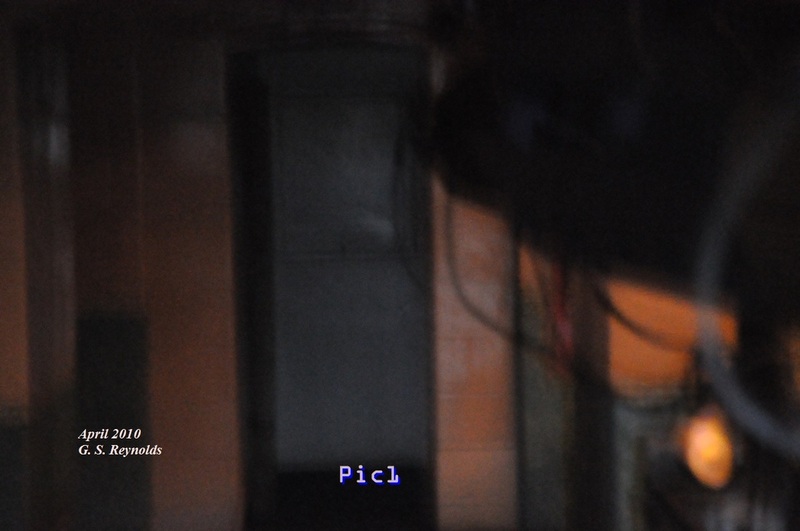 What I see here is what appears to be a young woman, sitting down against the bannister of the upper level of 1st and 3rd Class pool. Why she is there and who she is will probably forever remain a mystery. This is just strange. Bizarre, weird, and creepy. I was shooting with a full spectrum camera. 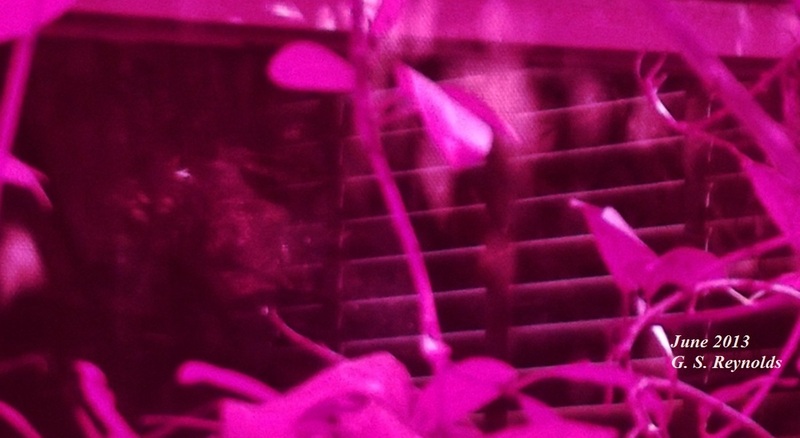 You notice everything is kind of mauve or pink? I must have been at least five feet way from this window on the side of this two bedroom cottage which sits on a very large historic estate near Malibu, Ca. A random photo is all it is. The venetian blinds are actually on a window just opposite of the window I was taking a picture of. They sit on the wall behind this window. I see a face and what appears to be a hand with fingers outstretched towards me. As you might tell this face appears to be clean shaven. I have a goatee and a mustache. So, this is not a reflection of my face. The basement of a local dairy in Ventura County. Built in the 1920s this dairy has the reputation of perhaps being more than a dairy. The original owner was a Swiss National with duel citizenship. He was known as a business man but some believe he may have been much more. 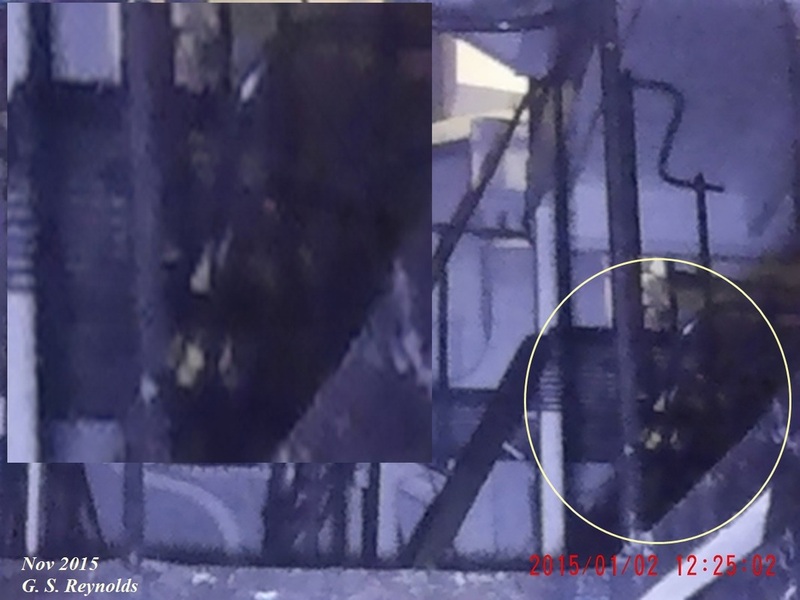 There is an alleged monster which has been seen over the years by the local citizenry. If you look to the left, towards the back you may see what looks like a person. This person was not part of our team this day and nobody knows who its. Here is the same picture except I've zoomed in and cropped the photo. This photo was taken with a full spectrum camera. Can you see what I am seeing now? Here I have highlighted the subject in sepia tone and surrounded the subject with a box. 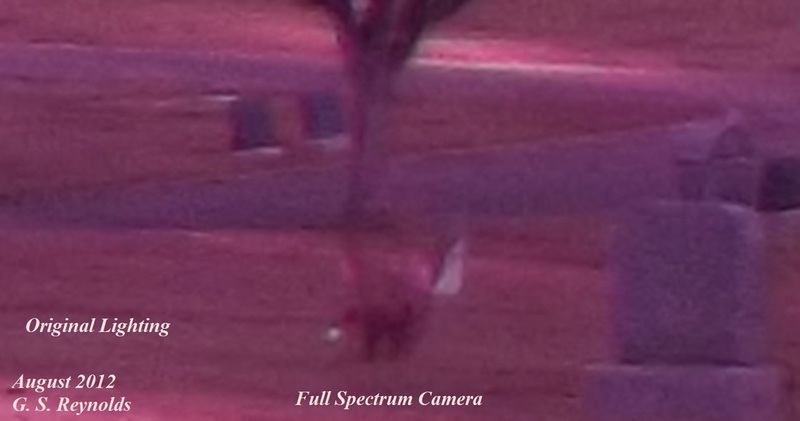 This full spectrum photo was taken at a cemetery in Santa Paula Ca, August 2012. Appears to be a woman in 1800s style clothing. Certainly clothing that is not of 2012. Aboard the Ferry Berkeley at the Maritime Museum in San Diego CA. 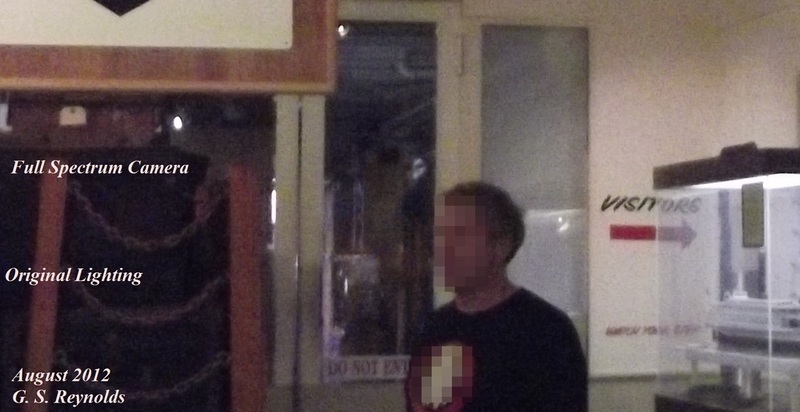 If you look past the investigator in the foreground you will see what appears to be the image of a man standing just on the other side of that door window. Who ever he is, he was not apparent to me or the others when this photo was taken. 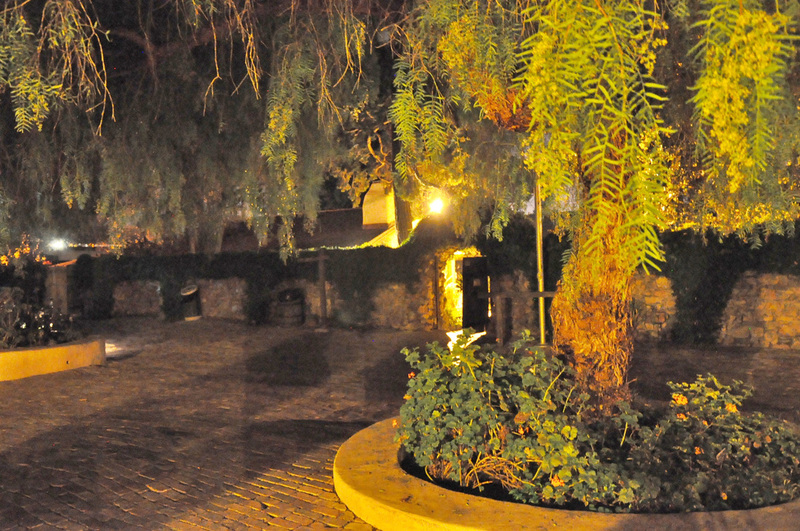 In 2011 I was part of two person investigation at Rancho Buena Vista in Vista, Ca. 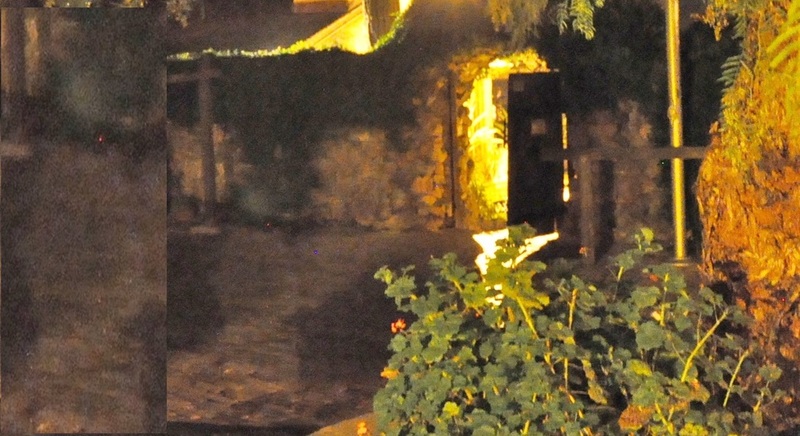 This photo is the drive way area between the wall of the main house court yard and the guest house. The interesting thing about this picture is the image in the middle, just to the left of the tree. And even more interesting is the different elements and shadow and light and it still stands out. 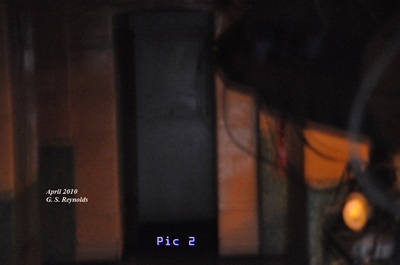 Here is a closer look at what appears to be a young girl in an old fashioned night gown. I have also included an more zoomed in close up within this picture. 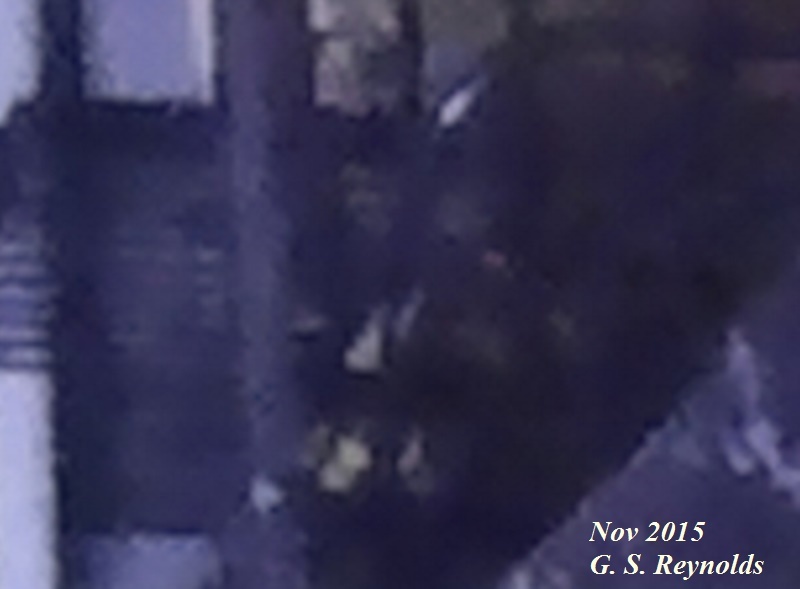 Here is a zoomed in close up of the subject of the original photo. To the far left appears to be a man with a fedora on and a gray suit. He may have a mustache as well. To the right appears to be a woman, dressed very formally with a hat and dark skirt and top. To her right but with not as much detail there may be a child, perhaps a boy. 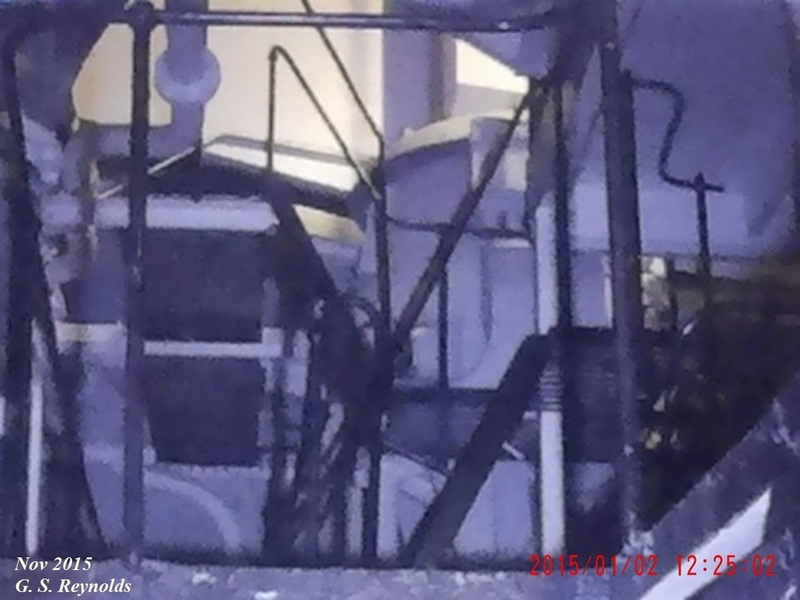 The appear as if they are a family standing next to the railing of the ship. Perhaps as it is leaving port and they are watching either family or other people they know as the ship pulls away. I cannot explain why this image is there. I can only tell you what it looks like to me. Comparison shot. A close up of the people insert to the left and where they are in the original photo to the right. Here is a comparison shot. The close up inserted to the left and the original of the people to the right.